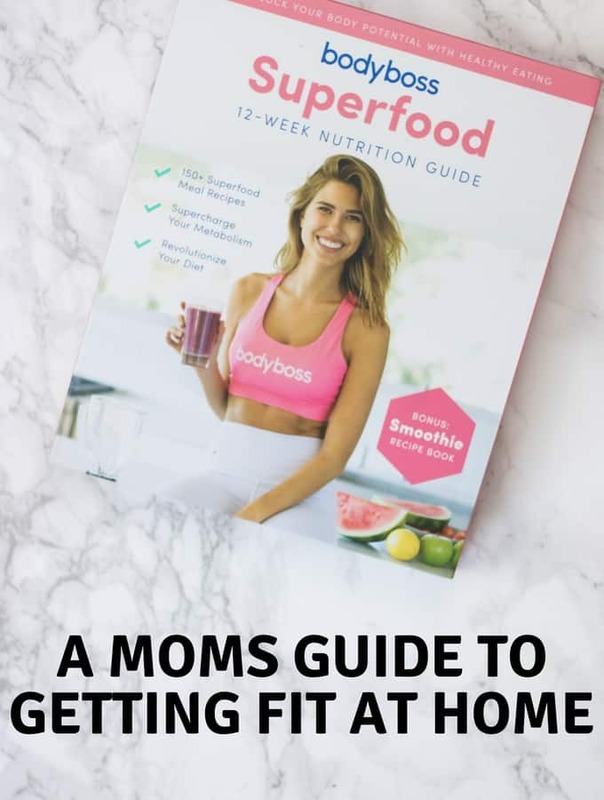 I think that most moms can agree that after you have kids, getting back into a regular health/fitness routine is not easy. 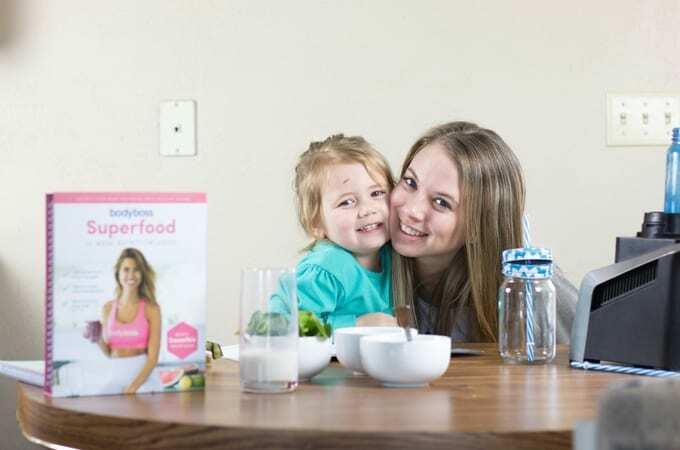 Truthfully, getting into any regular routine is hard after kids, but your health and fitness are important and effort you make towards getting healthier is helping you become a better mom and a better role model for your kids. The key to getting fit at home is finding what works for you. Every mom is different and every household is different. What works for me might not always work for you, but the important thing is that you are working towards finding what works for you. After 3 1/2 years, I have FINALLY found what works for me and that is getting fit at home. I don’t have the time to head to the gym by myself and even if I did I’m not sure I could motivate myself to go because I hate taking time away from the family. This will probably change as my kids get school age, but as of right now working out at home is what works for me. 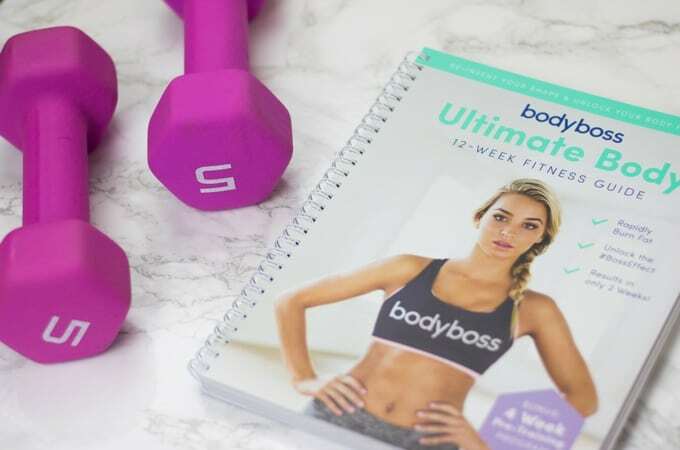 About a month ago I started the 12-week BodyBoss guides at home. You need minimal equipment and the workouts are PERFECT for moms because they are short but intense. I am usually doing these workouts during naptime so I really needed something that was going to be short enough for me to get other things done during naptime too, but still be effective. I only spend about 30 minutes 3 times per week on these circuits. The days that my daughter decides to skip her naps I get her incorporated in the workouts too! She loves to do “squats” and “lunges” or keep track of what move I am on and show me what to do next. I love that these guides have that flexibility and that I am able to model a healthy lifestyle for her. I waited a month to write about this because I wanted to try it out myself and be sure that it was a program I could recommend, it has exceeded my expectations. The workouts are High-Intensity Interval Training (HIIT) circuits that maximize fat burning and can be done on your living room floor. Don’t get me wrong, these guides are extremely convenient but the workouts are challenging. I have been continuously sore (in a good way!) for the past month, but I honestly love it because it makes me feel like I am working hard towards becoming healthier! 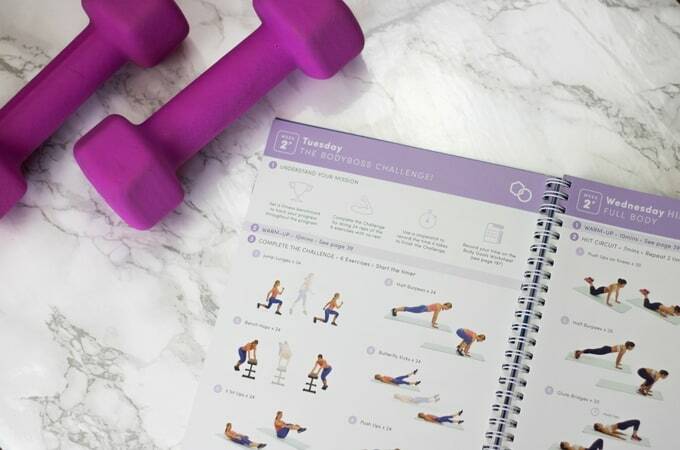 If you haven’t exercised in a while the guides include a 4 week pre-training program which I think is SO awesome for moms. It is really easy to get discouraged and quit an exercise program after you have kids and I think that the pre-training period does great at easing you into a regular workout routine again! The guides are handheld books which is so easy for me to follow along with. We are going on vacation in a week and I plan on bringing my guides along with me. In the last few weeks I’ve noticed that my legs and arms are significantly more toned than they were prior to starting the guides, my legs are slimmer (which is typically where I hold extra weight), and my overall ability to perform the workouts is getting better! I have NOT weighed myself. For me, this journey was more about feeling and looking healthier. The number on the scale isn’t as important to me as that. I have seen great results in my body, but the main thing is the growth in myself. I feel so strong and confident and like I am in control of my body again. I just feel all around healthier and can’t imagine feeling like I was before I started the program again! In my opinion, the mental benefits of starting this program have been worth it alone! 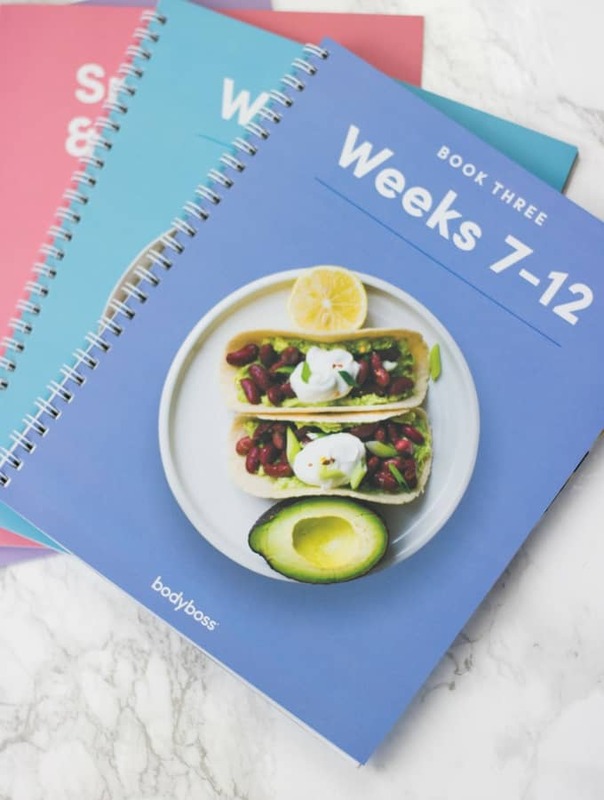 Along with the 12-week fitness guide, BodyBoss also has a 12-week nutrition guide that I highly recommend following. The guide plans for 3 meals and 2 snacks per day for 12 weeks which I LOVE because it is a healthy guide, not a fad diet that you are going to be starving yourself over. All of the recipes are extremely practical and my 3-year-old liked almost all of them (even the green smoothies!). There are over 150 recipes in the guide and it has really taught me how to eat to fuel my body. I have WAY more energy. Before starting the meal plan I felt really lethargic about mid-afternoon every day and I hardly ever feel that way anymore! It also comes with 2 extra bonus guides which are filled with healthy options for snacks and desserts. Let me tell you, I have definitely utilized those guides. I love having these guides at home so when I do get a chocolate craving I can easily fulfill it with a healthier option. 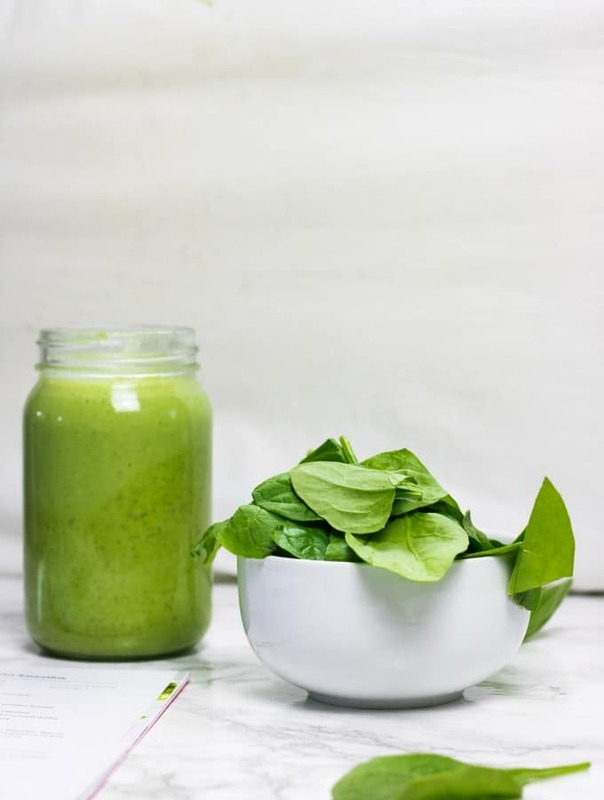 One of my favorite post- workout snacks from this guides is the Gut Loving Green Smoothie. It is SO good and my 3-year-old even loves it! Even though it is green, it has honey in it and is deliciously sweet. Then all you do is blend the ingredients together and you have the perfect post-workout snack!